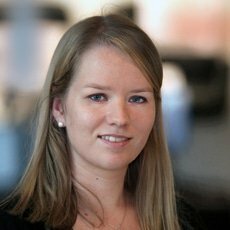 Mélanie Staes is an international tax adviser and associate at Loyens & Loeff in Luxembourg, and was based in the New York office of the firm from 2016 to 2018. She specifically focuses on the North-American region and specializes in international tax law, focusing on group restructurings, mergers and acquisitions and investment funds. She advises multinational clients, pension funds, private equity firms, as well as other corporates and investment managers, on all aspects of Luxembourg tax law. Ms. Staes regularly publishes in legal literature and is a member of International Fiscal Association (IFA), the American Bar Association (ABA) and the Canadian Tax Foundation (CTF), as well as the Luxembourg bar.